Electric vehicles (EVs) represent one of the most promising clean technologies, in terms of their potential benefits for the electricity grid, local air pollution, and reducing the greenhouse gas emissions that cause climate change. Not to mention they’re fun to drive. The good news is that as EV prices have dropped by nearly half the last few years, the number of Californians driving them has gone way up, with almost 300,000 EVs now on the state’s roads (up from about 10,000 just five years ago). The batteries in these vehicles can be used to soak up surplus renewable energy, and the use of electricity instead of petroleum as a fuel means significant reductions in air pollution and greenhouse gas emissions. 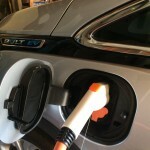 But all this progress is threatened by the lack of reliable and accessible charging stations, particularly for the 40 percent of Californians who live in apartments, townhouses, and condominiums without dedicated on-site parking spaces with charging capability (including even just a simple wall outlet). 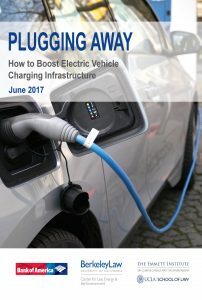 Researchers estimate that California may need up to 220,000 publicly accessible charging ports by 2020 to meet projected demand, way beyond the roughly 12,000 available today. Hundreds of thousands of additional charging stations may be necessary at those multi-unit dwellings. Private investment alone won’t be enough to make it happen: the business model for charging stations is currently not strong enough to attract sufficient private capital. Simply put, many charging stations are too expensive to build and operate right now, without dependable near-term revenue to cover costs and produce a profit. 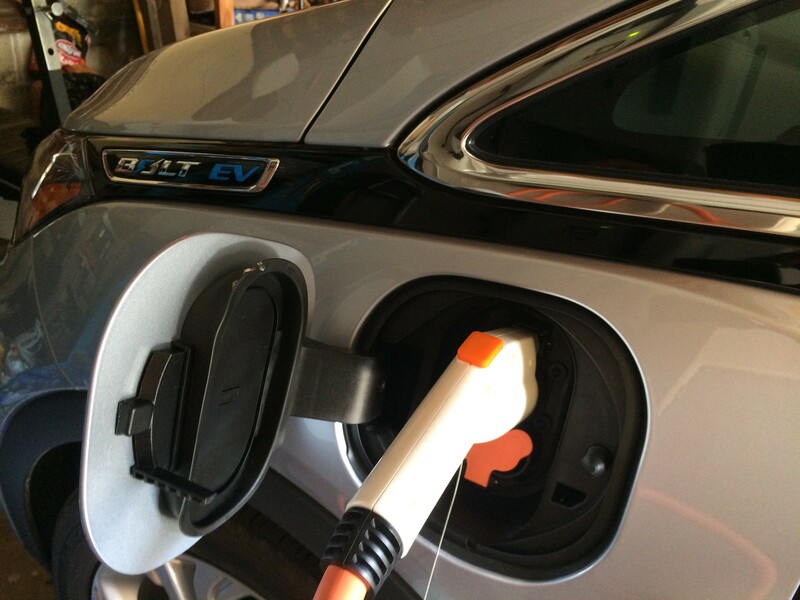 To address the challenge, UC Berkeley and UCLA Law convened experts from the EV charging sector in 2016, including automakers, utilities, and charging companies, as well as government officials, academics, and nonprofit advocates. Based on those discussions, the law schools are today releasing the new report “Plugging Away: How to Boost Electric Vehicle Charging Infrastructure.” It is the eighteenth report from our Climate Change and Business Initiative, generously supported by Bank of America since 2009. Targeted rebates and grants for office and multi-unit dwelling building owners to install charging stations, as well as expedited permitting to allow more curbside charging. For those not in the Los Angeles area or unable to attend in person, the event will be webcast live. I hope you can tune in or join. With a more robust and reliable charging network, policy makers and businesses can help ‘pave the way’ to more electric vehicle adoption in California and beyond. Yikes, Is It Pledge Week Already?